This collection includes material relating to Elizabeth Miller Watkins & Frank C. Miller scholarship halls at the University of Kansas (Lawrence) and Elizabeth Miller Watkins & her husband. Only selected materials from the collection have been digitized and are available here. A scrapbook compiled by Philomene Bourassa Hood for the years she attended the University of Kansas (1935-1939) is one example of the legacy materials on the scholarship halls. One of the early items in the scrapbook is a copy of the booklet The Mythical Jayhawk written by Kirke Mechem and published by the Kansas State Historical Society. The scrapbook contains photographs of women living in Watkins scholarship hall and the people and buildings in the photographs are usually identified. There are invitations for various Watkins Hall social events. The scrapbook also contains photos of numerous building and scenes on campus. The scrapbook contains some newspaper clippings with some of them about Philomene. One clipping states that she made Phi Beta Kappa and the initiation program for December 5, 1938, is included as well. 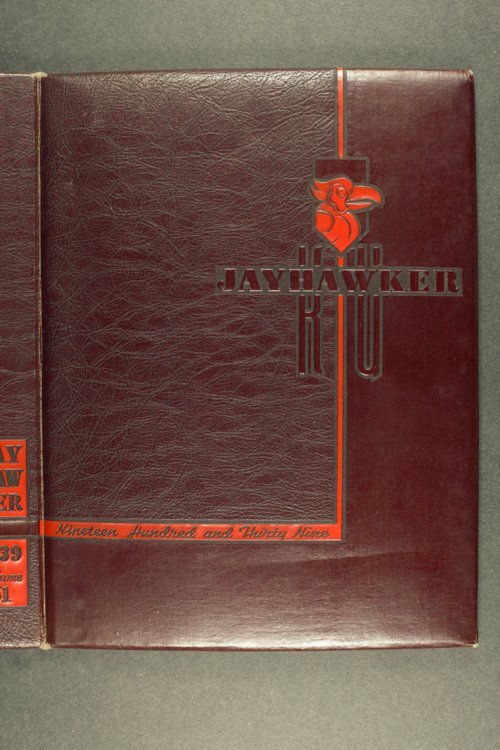 There are three multiple paged printed items related to the 1939 commencement--the announcement, the program, and a special commencement issue of the Jayhawker. The scrapbook contains a wine list and another printed document for the Bavarian Rathskeller, Armour Blvd. and Forest, Kansas City, Missouri. The rest of the digitized material relates directly to Elizabeth Watkins (January 21, 1861-June 1, 1939) including biographical clippings and obituaries, her last will and testament with a large number of bequests and the endowment for the scholarship halls, and a list of her contributions to the University of Kansas. A description of the entire collection is available through the link in the "External Links" box below. People - Notable Kansans - Watkins, Elizabeth M.